This comic drama was a box-office failure, although it was mildly praised, with striking similarities to Preston Sturges' screwball comedy about hero worship titled Hail the Conquering Hero (1944) starring Eddie Bracken, and Frank Capra's populist Meet John Doe (1941). It told about a sleazy Chicago criminal and petty crook named Bernard "Bernie" Laplante (Dustin Hoffman in a reprised Ratso Rizzo role) who helped to rescue passengers trapped in a crashed aircraft on a rainy evening - and lost a size 10B Florsheim shoe, to set up the Cinderella-like search. Credit for his Good Samaritan (Everyman) saintly behavior (with a $1 million reward offered by a TV station for the identity of "The Angel of Flight 104") was claimed by opportunistic homeless Vietnam Vet and slick junk-man John Bubber (Andy Garcia), who had been given the other shoe when he picked up hitchhiker Bernie after the crash. Accident survivor and bright Channel 4-TV news reporter Gale Gayley (Geena Davis) fell in love with the fraudulent imposter, while real courageous hero Bernie couldn't convince anyone of his good deed, until the film's drawn-out conclusion, when suicidally-guilty Bubber, on the verge of being exposed, threatened to jump from the 10th story ledge of the Drake Hotel. Hoffman had already experienced his share of mild to severe flops with Ishtar (1987), Billy Bathgate (1991), and Hook (1991), and then this film. This noisy action-comedy fantasy film (and 'film within a film') was manufactured by studio executives at Columbia to take advantage of the craze for action-hero Schwarzenegger (already famous for snappy oneliners, such as "I'll be back" and action films), but to also spoof the entire action film genre. The satirical parody was a combination of Willy Wonka... (1971), The Terminator films, Buster Keaton's Sherlock, Jr. (1924) and Woody Allen's The Purple Rose of Cairo (1985), the buddy-cop series Lethal Weapon (1987), and an inner-city version of the Indiana Jones series. To illustrate the difficulties that the film faced, the gimmicky, self-indulgent script full of industry in-jokes was often rewritten and modified (there were four individuals credited for the story and screenplay!). At least one easy-to-accept rationale for the film's flop at the box-office was that it appeared opposite the immensely-popular summer blockbuster Jurassic Park (1993). Other possible reasons for its failure: its soft and sanitized PG-13 rating turned off its main action-film audience, the film was mis-marketed, the media and critics disliked the film and were vocal about it, and the studio mistakenly believed that Arnold's mere presence in this super-hyped film would guarantee success. The wandering, messy, convoluted and drawn-out absurdist plot (with lots of star cameos) told about 11 year-old Danny Madigan (Austin O'Brien) who was addicted to the escapist exploits of his idol - LA police hero Jack Slater (Schwarzenegger) - at the local movie theatre. During his attendance at a special late-night screening - at the time of the 'real-world' premiere of his latest blockbuster film titled Jack Slater IV, Danny was given a 'magic ticket' by elderly Times Square movie theatre projectionist Nick (Robert Prosky). He was able to miraculously join his fictional hero on-screen as his kid-sidekick - suddenly thrust into the screen's action to appear in the backseat of the hero's automobile during a chase -- to help battle the film's one-eyed villain Benedict (Charles Dance) and another evil psychotic named Ripper (Tom Noonan) through a cliched set of multiple car chases, explosions, shoot-outs, last-minute escapes, etc. To add another twist to the tongue-in-cheek reality-fantasy angle of the film, Slater joined Danny in the 'real-world' when the ticket was stolen by Benedict (who then entered Danny's world) - where the screen's Slater was able to improbably meet the 'real-world' celebrity Arnold Schwarzenegger. 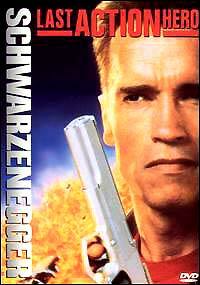 The film was nominated for six Razzie awards: Worst Actor (Schwarzenegger), Worst Director, Worst New Star (Austin O'Brien), Worst Original Song -- "Big Gun", Worst Picture, and Worst Screenplay. 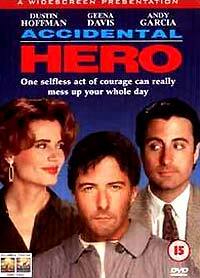 This distasteful "feel good comedy" deservedly received six Razzie Award nominations, including Worst Actor (Bruce Willis), Worst Director and Picture (Reiner), Worst Screenplay, Worst Supporting Actor (Dan Aykroyd), and Worst Supporting Actress (Kathy Bates). Film critic Roger Ebert railed against the film with this statement - which later became an abridged book title: "I hated this movie. Hated hated hated hated hated this movie. Hated it. Hated every simpering stupid vacant audience-insulting moment of it. Hated the sensibility that thought anyone would like it. Hated the implied insult to the audience by its belief that anyone would be entertained by it." The moralistic, aimless and contrived tale was about ignored, underappreciated and unloved 11 year-old son North (Elijah Wood) with self-absorbed, hard-working parents, pants-inspector (Jason Alexander and Julia Louis-Dreyfus). Through the advice of an Easter Bunny (Bruce Willis, who also played in other guardian angel incarnations as a cowboy, beach bum, and FedEx driver) in a department store, he decided to sue his parents in a court ruled by wacky Judge Buckle (Alan Arkin) - was granted 'free agent' status and divorced them, and then searched the world for a better set of parents. 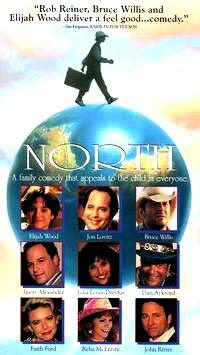 North's journey took him on visits to various auditioning, caricatured father-mother pairings in Texas, Hawaii, Alaska, and elsewhere, including a wealthy Ma and Pa Tex (Dan Aykroyd and Reba McEntire), Governor and Mrs. Ho in Hawaii (Keone Young and Lauren Tom), two Alaskan Eskimo-igloo dwellers (Graham Greene and Kathy Bates), a Parisian pair (with Jerry Lewis on every TV channel), an Amish couple (Kelly McGillis and Alexander Godunov, who were both in the Amish-related film Witness (1985)), an African dad and mom (Ayo Adejugbe and Darwyn Carson), and a white, NY suburbanite Beaver-the-Cleaver-Ozzie-and-Harriett-Nelson version of the "ideal" mom and dad named Ward and Donna Nelson (John Ritter and Faith Ford). But after all his globe-trotting, North returned to his own parents, realizing the cliched -- there's no place like home - when he woke up (his adventure was only in his imagination). The film was nominated for six Razzie awards: Worst Actor (Willis), Worst Director, Worst Picture, Worst Screenplay, Worst Supporting Actor (Dan Aykroyd), and Worst Supporting Actress (Kathy Bates).